Once again i had the honour to share the stage with my dear friends and colleagues Odd Bleat , Manos Gerogiannis and Yannis Zoumakis. Music, Sound Design and Voiceover by MD Recording Studio . 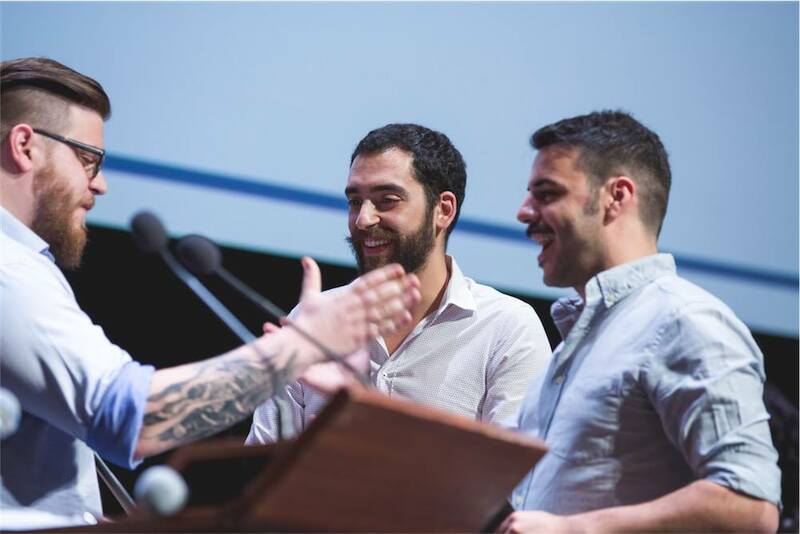 Also on the same Ceremony, our good friend and awesome designer Kostas Kaparos received 3 awards for various of his projects including TEDxAnogeia !!! Here i am with my parents after the Ceremony who kept supporting me and still do through my career, my choices and my achievements. I am so grateful that i can bring joy to their lives and make them smile because this means the world to me .